Who said parks are boring? Maizicourt Gardens will definitely refute this rumor! Don’t think you’ll find here a garden like all the others – it’s a veritable ode to nature, a bucolic experience in a marvelous setting. 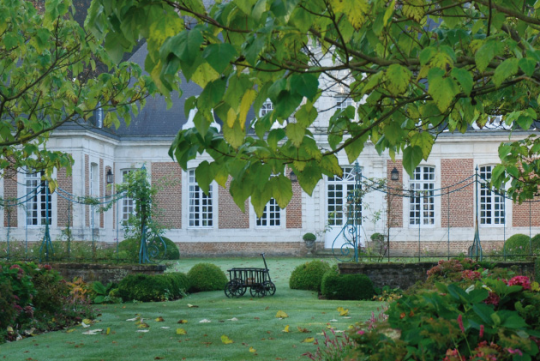 Displayed proudly around an eighteenth-century chateau, Maizicourt Gardens are crisscrossed with alleys, each one opening on a new world of color. You’ll quickly give in to the charm of this labyrinth of scented trails! From the moment you enter, you’ll feel as if you’re in another world. You’ll breathe in the mildness of a Japanese-inspired Zen atmosphere and be filled with wonder at the famous weeping cherry trees with their sparkling pink shades. And those who love roses won’t be disappointed! The park features many of these flowers of love! And there’s even more: small nooks you wouldn’t even dream are there, a stone cloister where you can rest or a foot bath containing aquatic plants you’ve never seen before! You’ll follow the boars’ alley, the main courtyard, the box tree alley or the tower of hedges. Whether you’re happy, sad or stressed, you’ll walk along these paths filled with joy and soothed by your visit.